Our friendly and knowledgeable bail bondsmen at Long Beach Bail Bonds are highly experienced and have the flexibility to work with you to secure your friend or loved one’s release, quickly and hassle free. One of the hardest parts about paying for a bail bond, is how suddenly the need arises. It is not something that a person can really prepare for. This is why we also allow qualified clients to not make their first payment for a month. Do not lose hope just because your friend or family member was arrested. You can help your loved one get passed this. All you have to do is get in contact with one of the professional bail agents here at Long Beach Bail Bonds. Long Beach Bail Bonds® has been in business for over 31 years and our bondsmen have bailed out thousands of people. We are available 24 hours a day, 7 days a week and offer free consultations to discuss your available Long Beach bail bonds services options. We accept all major credit cards and also offer payment plans that break down into just three easy payments. Trying to find a way to bail out your loved one can be difficult, but not if you come to Long Beach Bail Bonds. You can talk to one of our bail agents by calling 562-436-2207. How Much Does a Bail Bond Cost in California?? Have you ever looked into how much it would cost to bail someone out of jail? If you are like most people, then you probably have not done that. Most people would prefer to not think of one of their friends or family members getting arrested. Even more people think they will never need to bail someone out of jail. Unfortunately, not everyone is lucky enough to make it through life without needing to bail someone out of jail. When they do go to help their loved one get out of jail, they are usually caught off guard by the enormous cost of the bail. What would you do if someone you cared about got arrested? Most people do not have an answer to that simple question. They have never put much thought into the idea of being arrested and yet thousands of people are arrested every day in California. If someone you love got arrested, you would undoubtedly want to get him or her out of jail as fast as you can. You will want to use a company you can count on, one that employs some of the best bail agents in the state. 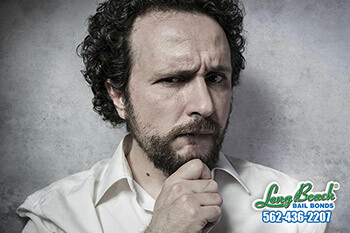 Your best bet is to contact the bail agents at Long Beach Bail Bonds Services. We have been bailing Californians out of jail for the past 30 years. We have become one of California’s most prominent and trusted bail bonds companies. It is obvious that no one in the world wants to be arrested, and also quite obvious that no one begins their day planning to get arrested either. However, the truth is that a staggering amount of people are arrested everyday and in many cases it is those who really did not see it coming or head out planning to do something wrong. A mixture of a few drinks and some influential friends can make all the difference and have you dealing with police officers before you know it, especially in California. Thankfully you can find help when dealing with an arrest thanks to bail bondsmen and Long Beach Bail Bonds®. You also want to make sure that you are prepared and know what you should and need to do should you ever be arrested. This is especially true should you be dealing with bondsmen or those from Long Beach Bail Bonds. The most important things to do when dealing with police officers are to show respect, know when to stop talking, alert family members or friends, cooperate as much as possible, and then seek out a qualified bail bondsman. Even if the arrest is not serious and you do not think that the situation will worsen, those that deal in Long Beach Bail Bonds® can truly help to rectify the situation. Even if you happen to feel intimidated by the officers that you are dealing with, in most cases they will answer your questions and be more than willing to help you get in touch with those that deal with Long Beach Bail Bonds®. While you may not think it, bail bondsmen can actually be your very best option and incredibly helpful should such a situation ever arise. So do not be afraid to reach out and get the help you need when you need it most. Don’t wait – contact us today at 562-436-2207. We’re Available 24/7. We provide our Clients with a full range of bail services in a timely, courteous, and confidential manner. We commit to transacting business with our Clients, our fellow bondsmen, and our law enforcement and judicial counterparts in adherence with only the highest moral and ethical standards. In the Long Beach and East Los Angeles area, Long Beach Bail Bonds has been the number one source for bail for over 30 years. You can call 24 hours, 7 days a week to talk to a local bail agent. Let our family of bail agents help your family during this stressful time. Our local agents work directly with the jail personnel for immediate release of your family member or friend. So the bail process is fast. To make the bail bond affordable, our bail agents will customize a payment plan to meet your financial need. Our payment plans are ALWAYS at 0% financing. More importantly, there are no hidden fees. What we tell you over the phone is the same as what we tell you in our bail office. Long Beach Bail Bond Agents pride themselves on being honest. They will make sure you are given the total cost of the bail, your down payment and your monthly payment. There will be no surprises on your monthly statement. You can talk to an agent anywhere by calling 562-436-2207 or by clicking Chat With Us now. Long Beach Bail Bonds® owns and operates the domain www.longbeachbonds.com. Any infringement using the words Long Beach Bail Bonds® or variations that are meant to mislead or confuse the public are considered Trademark violations. This would include Internet listings or any other marketing that would lead to confusion or misdirection causing loss of business.